The name “Rudder” is familiar to Texas Aggies and others with ties to Texas A&M University in College Station, Tx., 20 miles from my hometown. James Earl Rudder (May 6, 1910 – March 23, 1970), who was the 16th president of A&M and laid the groundwork for its explosive growth from a little “cow college” and military school with a total enrollment of 6,000 male cadets to a world-class university, is a name familiar as well to military historians and Word War II history buffs. 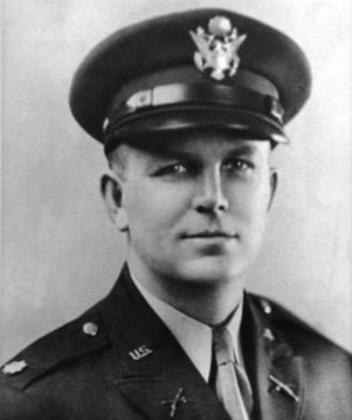 After graduation from Texas A&M, Rudder had been commissioned a second lieutenant of infantry in the United States Army Reserve. After being called into active duty in 1941, Rudder took part in the D-Day landings as Commanding Officer of the United States Army’s 2nd Ranger Battalion. His U.S. Army Rangers stormed the beach at Pointe du Hoc, scaling 100-foot (30 meter) cliffs under enemy fire to reach and destroy German gun batteries. The battalion’s casualty rate for this perilous mission was greater than 50 percent. Rudder himself was wounded twice during the course of the fighting. In spite of this, they dug in and fought off German counter-attacks for two days until relieved. 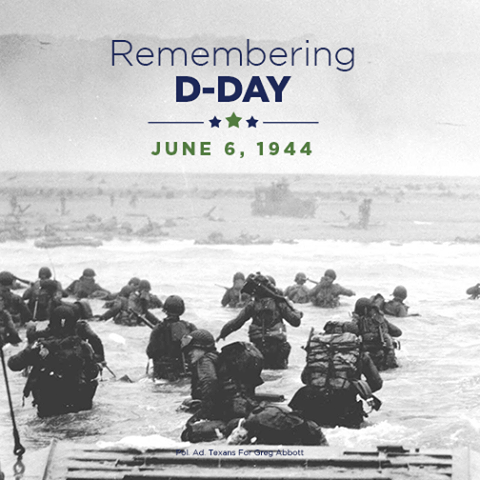 He and his men helped to successfully establish a beachhead for the Allied forces. Seven months later, Rudder was assigned to command the 109th Infantry Regiment, which saw key service in the Battle of the Bulge. Rudder earned military honors including the Distinguished Service Cross, Legion of Merit, Silver Star, Bronze Star with Oak Leaf Cluster, Purple Heart with Oak Leaf Cluster, French Legion of Honor with Croix de Guerre and Palm, and Order of Leopold (Belgium) with Croix de Guerre and Palm. He was a full Colonel by the war’s end and was promoted to Brigadier General of the United States Army Reserves in 1954 and Major General in 1957. “Rudder’s Rangers” had one of the most important and most dangerous missions in the most important and dangerous invasions that marked the beginning of the end of the war. Texas Aggies gave an enormous amount of blood sacrifice to their country in World War II and so many other wars (as Texas Aggie Rick Perry reminds us often and good for him for that). Rudder and men of such quiet but strong character as my Uncle Ruff Titsworth, who along with so many other “common” men from small towns and villages and tight city neighborhoods fought with valor — God help us and God bless them — seem to be in short supply. More on Rudder’s heroics here. Paul, Paul, beautiful piece. You need a proofreader, and I am willing to volunteer for the job with our editorial comment! Promise! I know! I just went back and cleaned it up after re-visiting (and added a link from a story I didn’t see before the first posting). That’s what happens when I “post on the fly,” which I try not to do! Got in a hurry to be somewhere! BTW–did you mean “without editorial comment?” Ha! Gotcha!